I also saw this new Sabre 66 in an entirely different environment. Hull #1 was not only boat show perfect, but also primped for the owner&apos;s first night aboard, while hull #3 was just two days wet and crawling with builders and technicians working on their last punch lists. 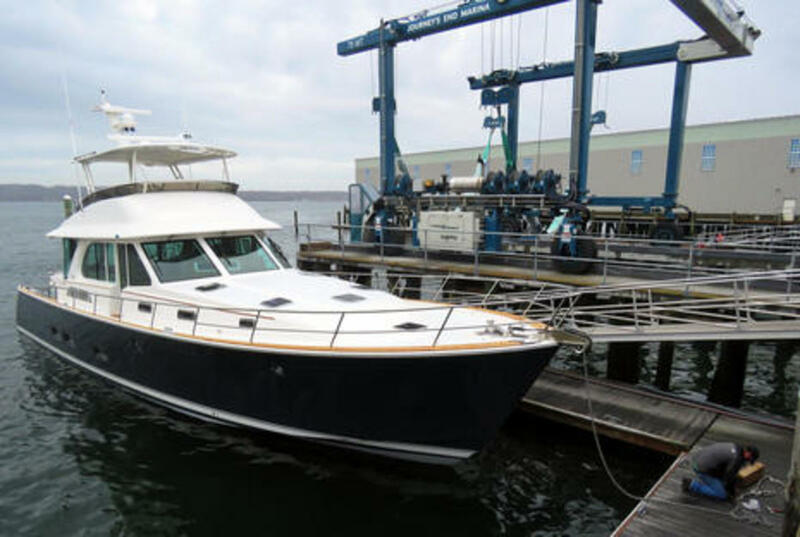 You can see how elaborately equipped (and crafted) these yachts are on these Sabre 66 Salon Express (SE) pages, but this is the first Fly Bridge model -- it looks great, I think -- and online 66 FB details are in the works. For a good sense of how this semi-custom series performs, read Peter Janssen&apos;s fine Sabre 66 Dirigo review for PMY. 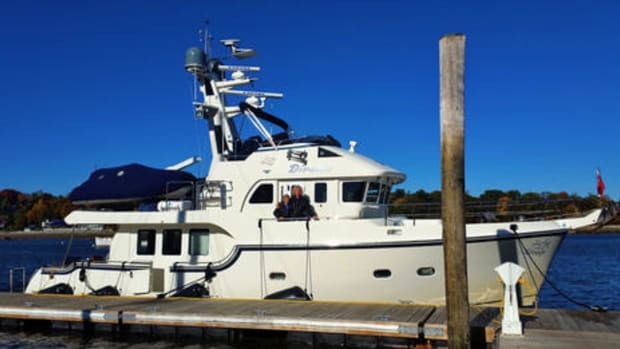 In fact, the gentleman installing hull #3&apos;s anchor above is the same full service Down East Yachting broker David Jirikovic who picked Peter up in St. Augustine, Florida, for the last leg of hull #1&apos;s six-day delivery from this same Rockland, Maine, marina. That was in January, though, and Jirikovic did not get to pick a weather window for that trip either. Even in April, charging down the East Coast at 25 knots takes a strong and able vessel, but Sabre 66 #3 -- which could also be designated 66 FB #1 -- did it in style. I&apos;ll report more on that below, but first let&apos;s look at the electrical systems. Well, first let&apos;s look at what&apos;s NOT on a Sabre 66. 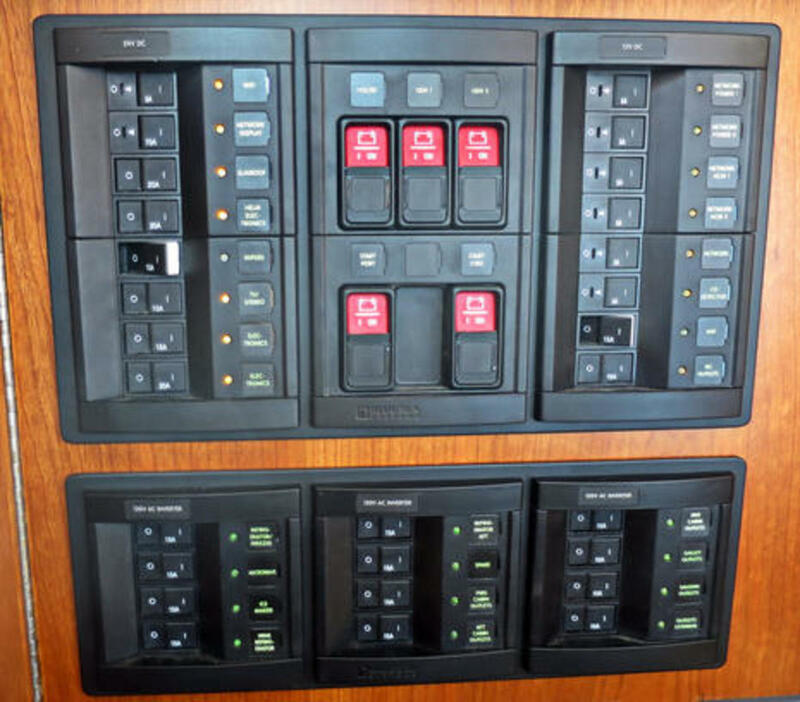 This is the main circuit panel on the just profiled 2010 Nordhavn 52 M/V Dirona, and while the 66 does have several small breaker panels distributed around the vessel, the switching is mostly done using a Mastervolt BEP CZone digital system. But both vessels -- different as they are in both performance goals and switching systems -- have similarly large equipment arrays for creature comfort, safety, and fun, including many lights and many pumps. Note the color coded cable ties on some of Dirona&apos;s circuit switches. I didn&apos;t discuss them with the Hamiltons, but I&apos;ve seen similar markings on many large breaker panels. They are handy visual reminders representing operational modes. The lavender circuits, for instance, look like systems they&apos;d want on when underway and off when not. Incidentally, James Hamilton said that if they&apos;d had Dirona built more recently, she would probably have a distributed power system with digital switching. 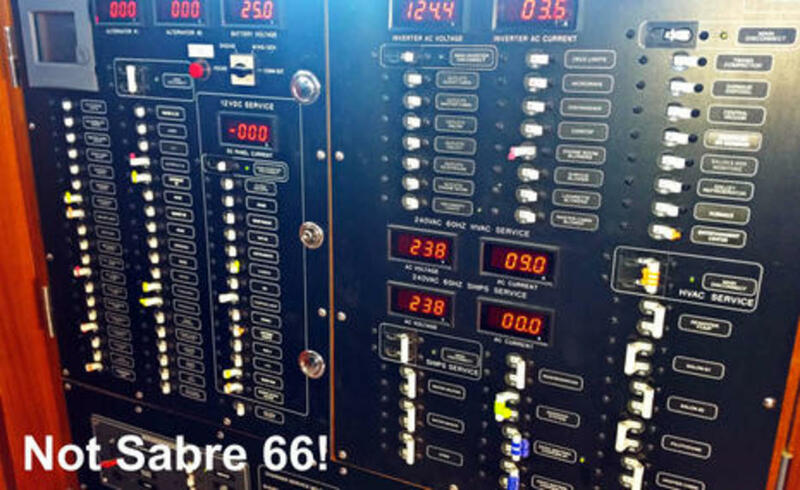 So here&apos;s some of the Sabre 66&apos;s virtual "breaker panel" as seen in the CZone iPad app. For the photo I should have turned on a salon light or two so you could see how they look on the mimic graphic, but it makes sense that they all start off in Day Cruising mode. The 66 comes stock with two iPad minis, each mounted in this slick magnetic LaunchPort BaseStation with inductive charging (and more iPads can be added). 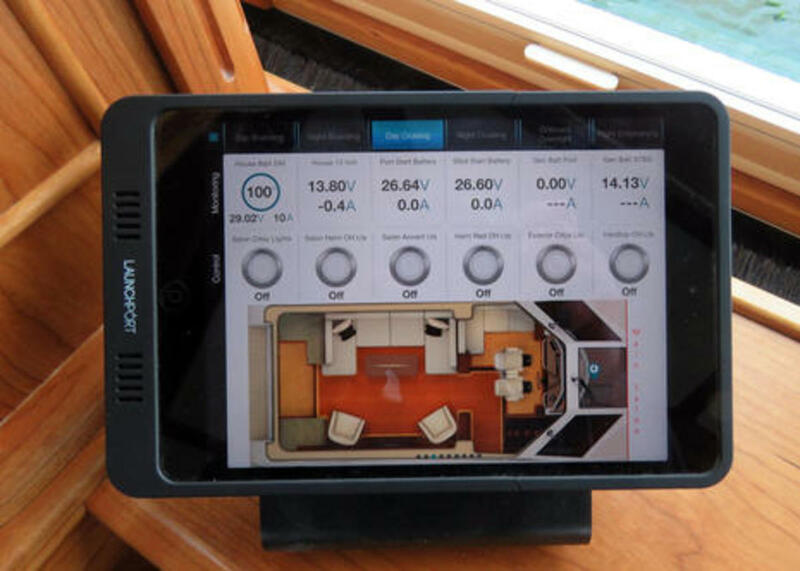 Sabre engineer Tom Anderson -- who showed me around hull #3, and who also appears in Peter Janssen&apos;s PMY story as he fueled hull #1 in St. Augustine using this tablet app while on deck -- told me that the LaunchPort held the iPad secure even while pounding into eight foot seas. 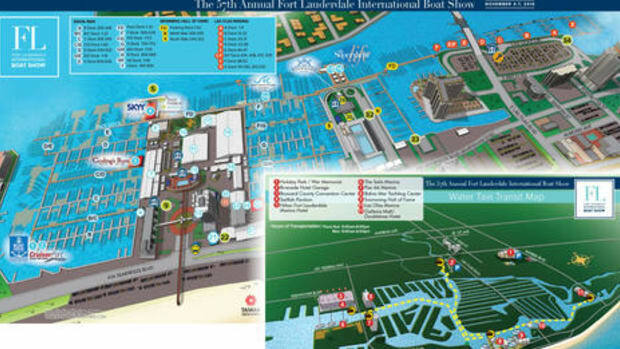 Note that you can swipe the app left and right to show other sections of the vessel along with their relevant switches. Note, too, that there&apos;s much more monitoring available than what&apos;s shown above, not just because CZone can sense the current passing through each DC circuit, but also because the 66 uses numerous CZone Signal Interfaces (like the one that continues to faithfully mind Gizmo&apos;s tank levels), and because flowing with the CZone data is everything else on the boat&apos;s extensive NMEA 2000 network. You can also easily switch CZone modes using the tabs at the top of the main app screen above, but let&apos;s look closer at this major feature. 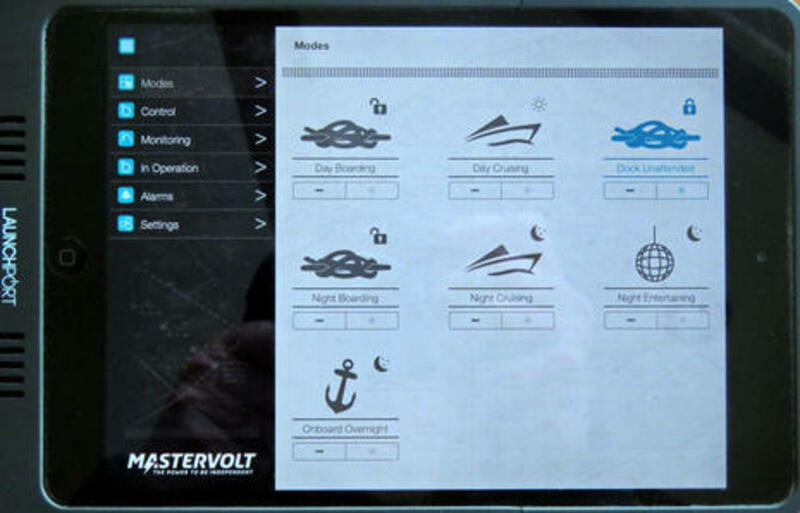 Here is the app&apos;s dedicated Modes screen, which lets an owner or captain determine which modes will be easily available on this iPad. The modes themselves were created by Sabre engineers using CZone&apos;s PC configuration program, and I was impressed to learn in Rockland that so far there&apos;s been no need to rebuild a mode or add a new one either to fix an issue or satisfy a customer request. Then again, I know that Sabre learned its way up through smaller and less critical CZone switching systems, and also that a great deal of thinking went into the first 66. Sabre is squared away in this regard, but I do think that specific technical teams are quite important to digital switching reliability, at least at this relatively early stage. 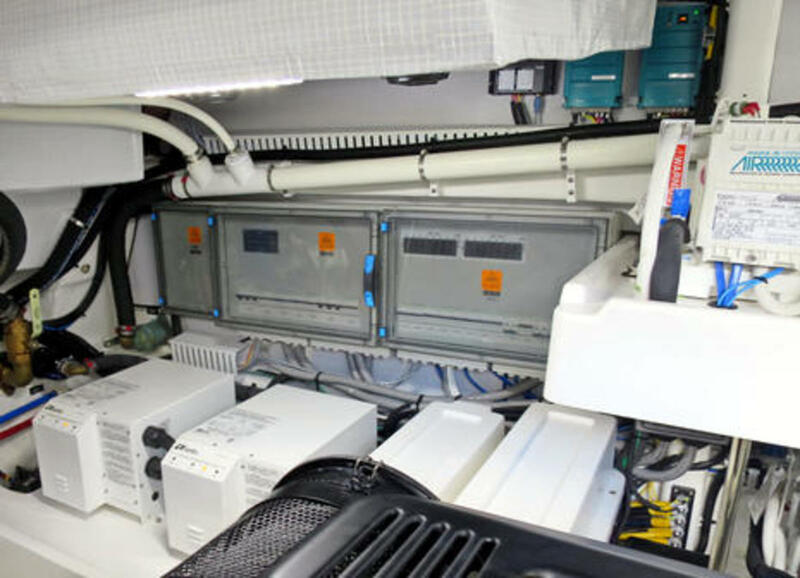 All sorts of good marine electricians could troubleshoot an issue on a vessel set up like Dirona, for instance, but if something odd does go wrong with a 66, it may well take the network of Sabre and CZone techs to figure it out. The photo above also shows hull #1&apos;s helm, which features four large Garmin MFDs and not much else, thanks in part to the digital switching. Only the righthand MFD is stock on the 66, as it provides the helm&apos;s CZone interface as well as deep integration with the yacht&apos;s twin Volvo Penta IPS drive and D13 engine systems. 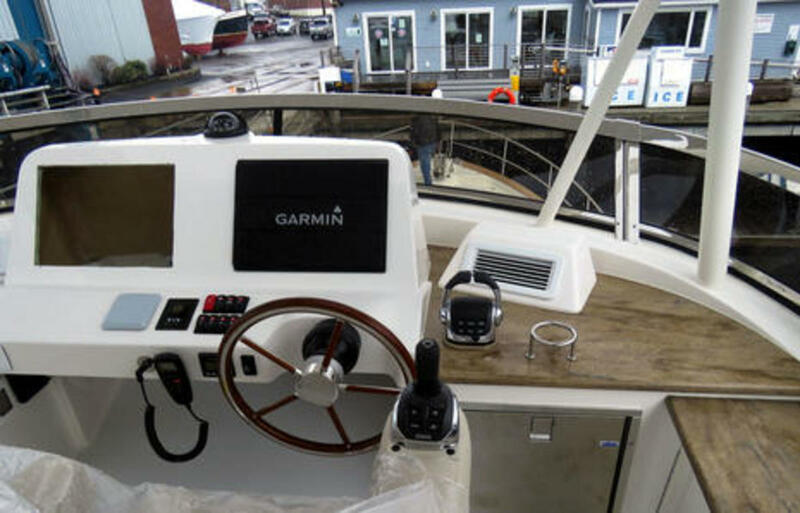 Owners can fit a 66 with any navigation system they want, but so far they&apos;ve all chosen Garmin. So here&apos;s CZone switching on Hull #3&apos;s main helm Volvo Penta/Garmin Glass Cockpit MFD -- there&apos;s another one on the flybridge -- and Tom showed me how easy it was to add the CZone interface to the other Garmin MFDs as they were installed. 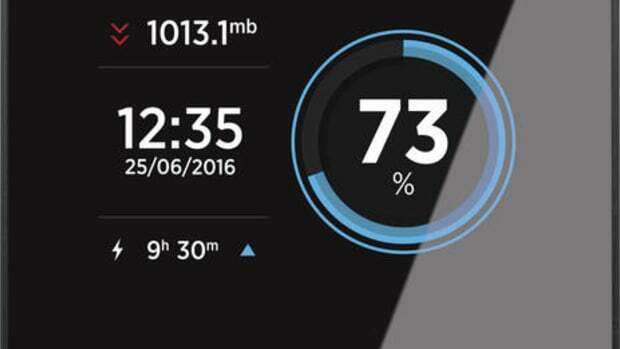 And it&apos;s worth noting that these interfaces are integrated but independent. Enabling a mode or switch on one display shows on all displays, but a failed display doesn&apos;t affect system integrity. In the same vein, a CZone replacement module can autolearn its duties as long as its dip switch ID is set properly. This particular MFD CZone screen is not set up by Sabre and is probably no longer just the alphabetical list of switches seen above. 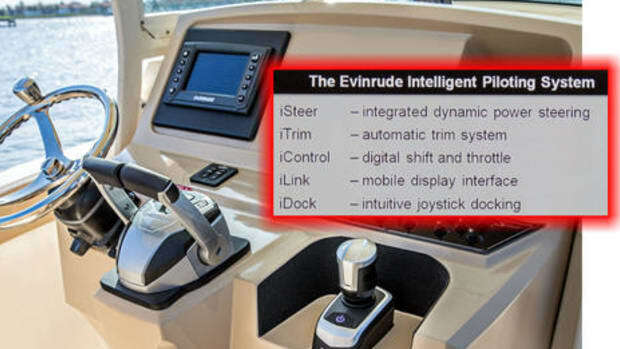 That&apos;s because Garmin allows easy user customization of the switch pages -- for instance, the full switch names migrate from the configuration program throughout the system -- and this boat&apos;s regular captain served as mate for the Florida delivery, where I imagine the owner is also receiving system guidance from David Jirikovic if desired. 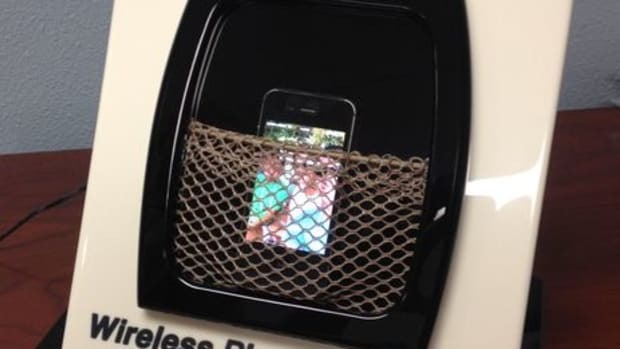 I also watched Tom Anderson expertly teach #3&apos;s captain about this CZone AC control screen. While it&apos;s highly automated if you want it to be -- intelligently switching between shore power and generators, and paralleling loads, as needed -- simply tapping a manual command, like turning that Parallel switch off, also makes Auto Change Over inactive. Good to know, and another example of the importance of people like Tom to this technology. 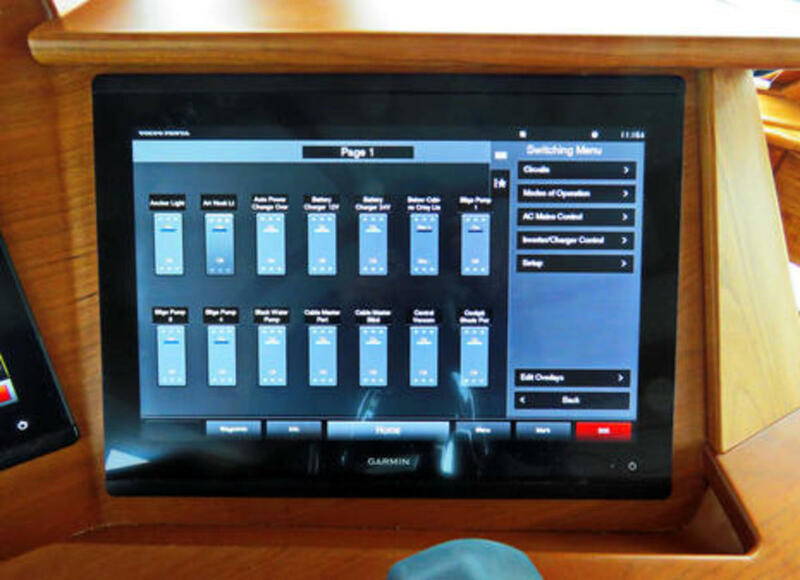 And while this sort of system control and automation is very useful, particularly on a large yacht like this that can be owner operated, Sabre did not put everything under CZone digital control. For instance, the electric salon doors can only be opened from the remote displays, not closed, and, in fact, the power system for the main aft doors is completely standalone with just a simple and dispensible interface for the CZone "open" command. This "main" breaker panel in the salon shows other 12, 24, and inverter circuits that would not benefit much from CZone control. In some cases, like the VHF radios, it&apos;s simply wise to keep the power sourcing simple. Note, also, the BEP remote battery switches and the plethora of 12v network power circuits. 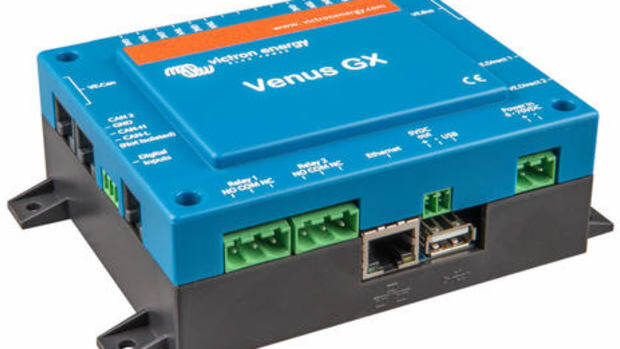 Both Newcomb and Anderson emphasized how much engineering went into the 66&apos;s NMEA 2000 network, and I believe that their techniques are applicable to smaller N2K systems with issues. For one thing, they believe in conservative node management, which means providing about every 30 CZone modules (and other N2K nodes) with their own backbone section separated by a Network Bridge and fed by its own power cable. The bridges help to keep the data clean throughout the overall network and the sectioned power feeds prevent voltage drops. Moreover, the backbone sections on a Sabre 66 have three sources of 12v power, all of which can be left on because they&apos;re isolated and switch over automatically. This "belt and suspender" engineering has changed a little to accommodate added circuits, like for the flybridge, and toward an even easier-to-understand main panel. The photo above is hull #1, but on #3, which has four N2K node group sections, the ACM 12v feeds which provide switching current to the CZone AC panels are relocated to the engine room, which is where we&apos;re now headed. Looking aft in the 66&apos;s capacious engine area, there&apos;s a CZone Output Interface (OI) neatly labeled with the six circuits it controls. There are six blade fuses in that IO that can override the digital switching, but according to Anderson this backup feature has only been required to run the engine room fans on 66 #2, a situation that was soon fixed with a system reboot (and he added that hull #1 has already logged 700 hours). Alongside the OI is a CZone Switch Control Interface so that devices like that bilge pump can have a reassuring physical switch with LED indicator at the helm(s). CZone also watches each bilge pump&apos;s automatic operation and alarms if one runs more than two minutes. 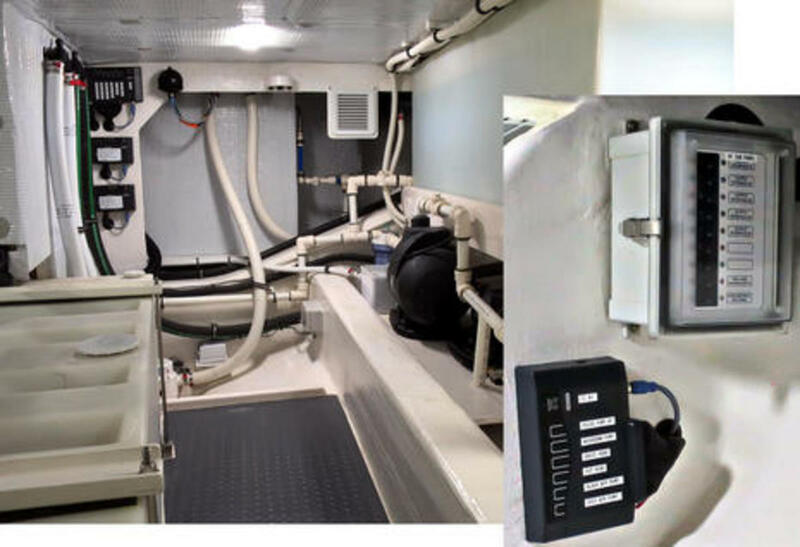 But note that the high bilge water sensor visible is part of a GOST remote monitoring system and is in addition to another high water sensor that drives an onboard CZone alarm. 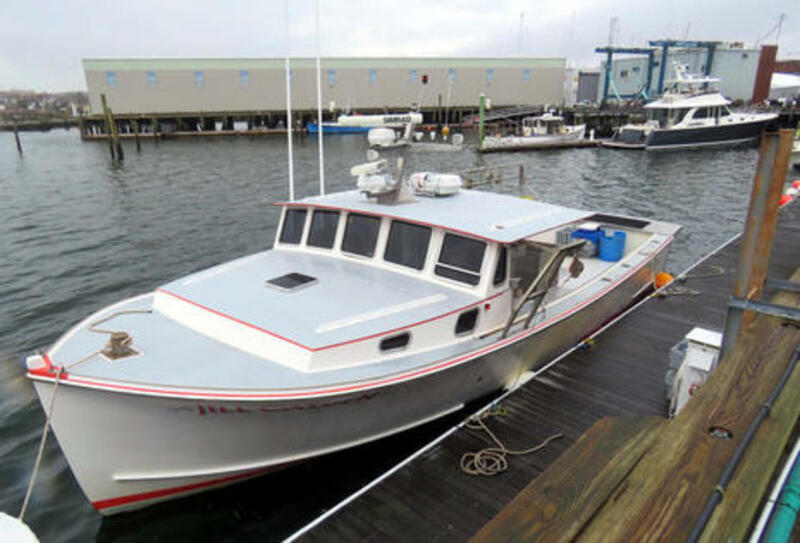 The GOST gear was installed in Florida for hull #1&apos;s owner, and I&apos;ll bet it&apos;s an excellent system (#3 is getting similar), but I think it also speaks to a still-missing CZone capability as well as the changing role of boatbuilders. 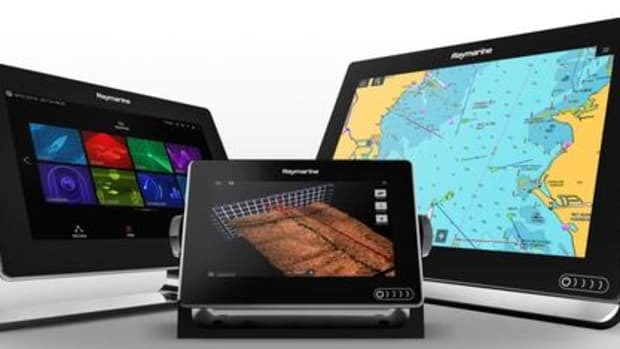 Sabre likes to give owners as much latitude with their electronics choices as possible, but, of course, boatbuilders must provide electrical systems, and moving up to digital switching, automation, etc. is a big decision they have to make and execute (with help from selected suppliers like Power Products). 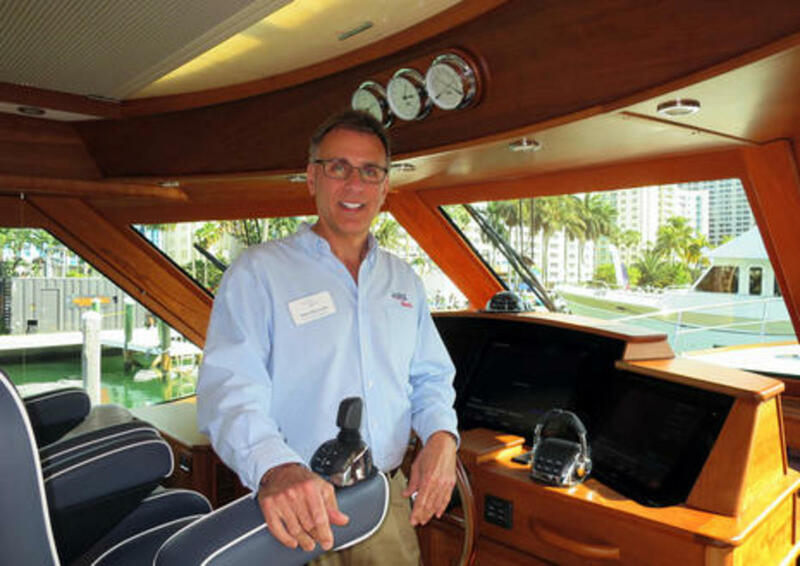 So while Dave Newcomb was looking forward to remote CZone access for troubleshooting in early 2016 and Tom Anderson is still waiting wistfully, and they both can envision the integrated offboat monitoring possible, that aspect of the Sabre 66 may remain fluid. 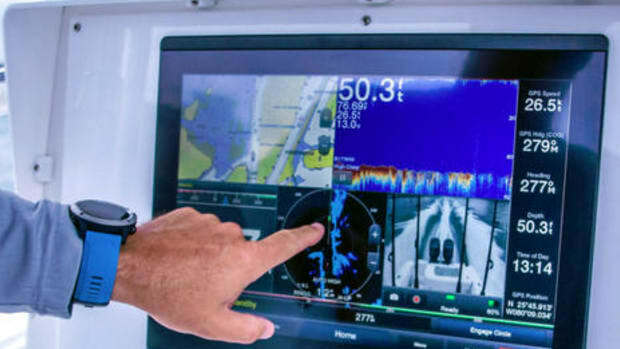 Heck, Garmin or Volvo Penta may come up with their own systems, and Navico&apos;s GoFree Track is already designed for deep multi-input monitoring on boats without other Navico gear (and Anderson is ready to adapt a Faria Beede WatchDog system if a 66 owner desires). 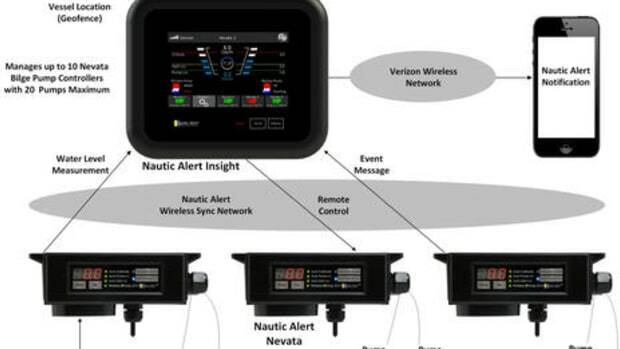 The possibilities for rich monitoring and control with full remote access to a system as deep as this CZone install are huge, but I guess that also applies to the possible problems (and ditto for the Volvo Penta systems). What&apos;s already working well on the Sabre 66 is revolutionary for most of us boaters, which is why I&apos;m hoping it&apos;s valuable to go into such detail. 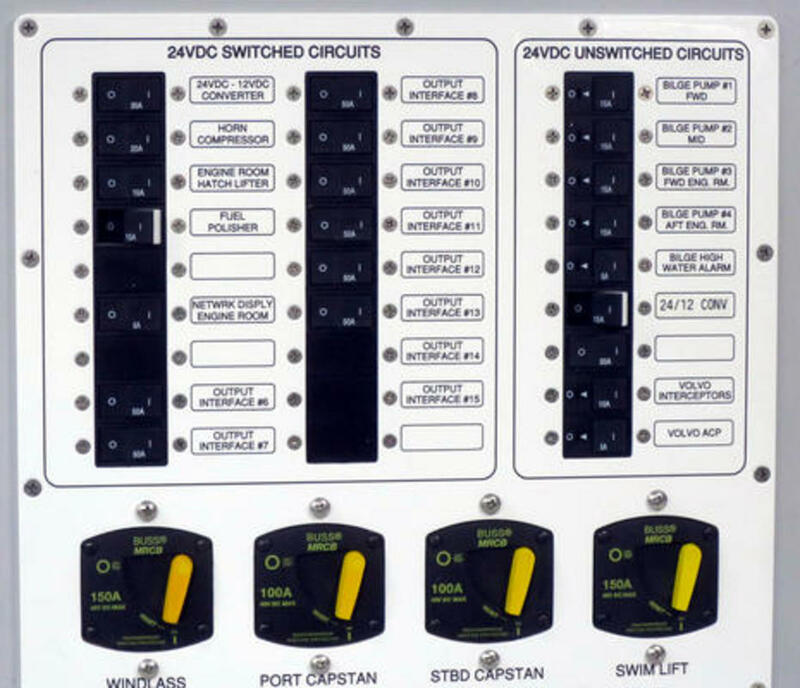 This breaker panel in 66 #1&apos;s engine room shows how ten OI modules, and thus a maximum of 60 CZone circuits, are powered from the 24v bank battery switch, while a few loads are separately controlled and several critical circuits are cabled directly to the battery bank, unswitched (but with inline fusing). 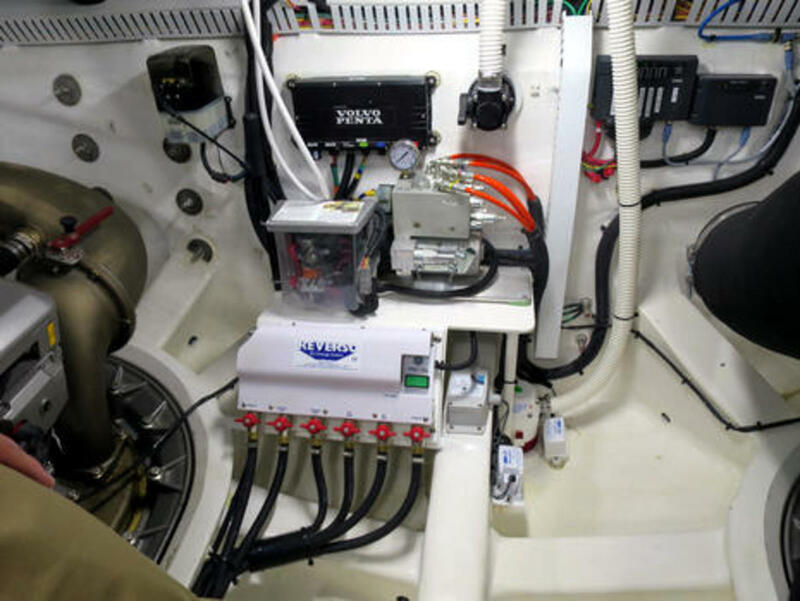 Note that automatic float switch bilge pump operations are powered here, while the manual switching is done with a CZone OI, more belt and suspenders design. Most of these panel loads are in the aft part of the boat, so long two-way cable runs to a Dirona style main panel are avoided. That saves weight and money, though maybe it also makes it easier to add more goodies. In Night Boarding mode, Hull #3 apparently draws 60 amps just in LED lighting, but I bet it looks spectacular. 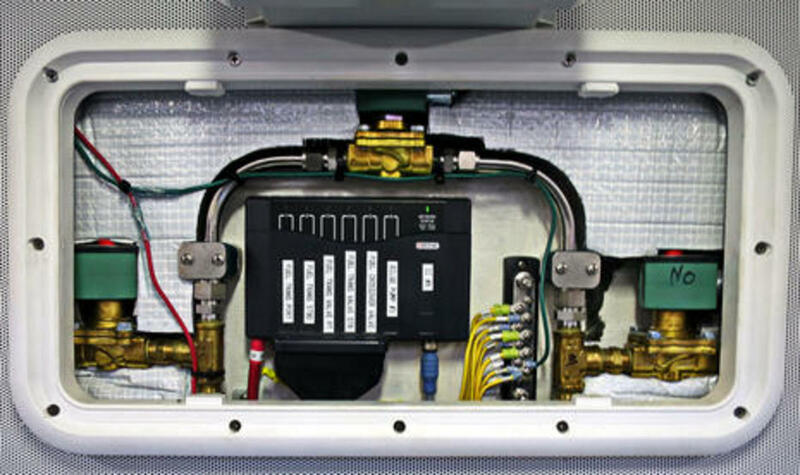 To port are the fairly big CZone AC Interface panels, which use solenoid-driven physical contactors as opposed to the MOSFETS typically used for DC digital switching (early marine discussion here). There are also several green Mastervolt power modules installed -- 66 SE equipment list PDF here -- and of course they integrate well with sibling CZone. Here&apos;s some detail of the fuel transfer system, which can be run with the iPad interface or with a CZone Touch 5 mounted just above this cleverly used frame. The 66 is set up to run on its wing tanks, which are typically refilled from the center tank, so often only the latter is involved in refueling. And the generators are asymmetrical, 13.5kW and 21.5kW Onans, figuring the big one appropriate for southern waters with large cooling demands. But notice the vent fan. It&apos;s programmed so that whenever the main battery bank is switched on, the fan will automatically come on in a preset cycle, 5 minutes on, 15 off. Except when the yacht is put in Onboard Overnight mode when the crew may have nearby sleeping cabin ports open, in which case the fan is suppressed for the next 8 hours. 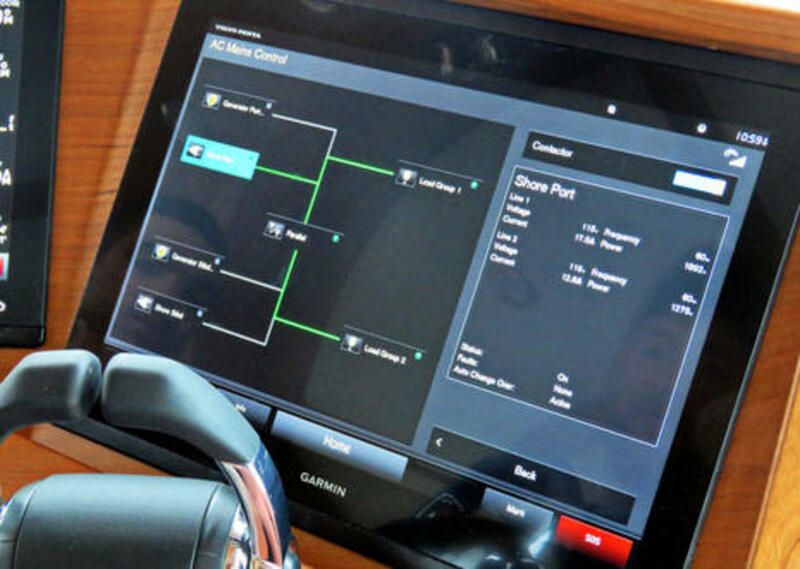 The dream of deeply integrated digital switching and monitoring is boats that are easy to operate even if you don&apos;t know what&apos;s going on under the hood (like most of our automobiles). That dream may apply less to big high-end system extravaganzas like the 66, but I suggest that Sabre seems to be closing in on it and also that at least many smaller future yachts will essentially be subsets of the design smarts we&apos;ve seen here. 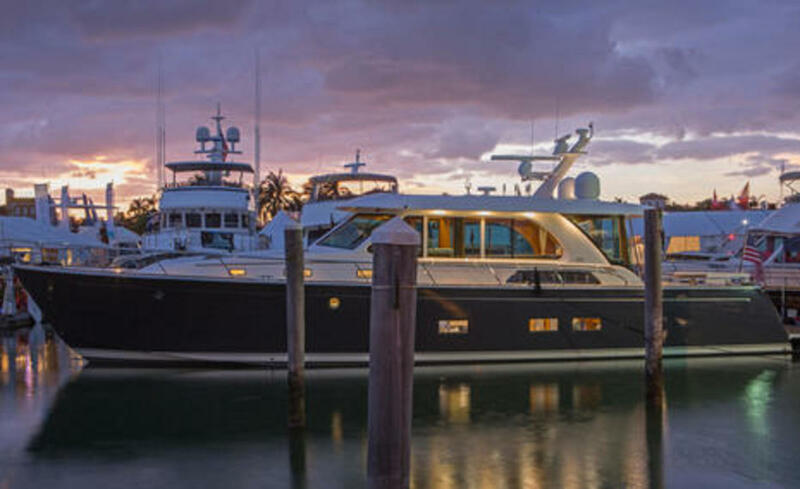 The first 66 flybridge above is incomplete but even after the second MFD was installed (that day), and maybe some entertainment and other gear is added in Florida, it will still be a remarkably simple helm given all it can do. Actually, Anderson and Jiricovic report that new 66 masters are usually a little dumbstruck at first. They&apos;re used to learning (and relearning) those big breaker panels, and they simply can&apos;t believe switching can be so simple. But they get used to it, and these long semi-sea-trial deliveries certainly prove that it can all work well, even right out of the shop. If not for other commitments, Tom would have gone along on this Florida trip in case there were issues. But I watched on AIS as just David and his mate bit off big chunks of East Coast, mostly in daylight and with time for marina rest and refueling. Pocassett, New York, Hampton, Morehead (outside), Charleston, and a quick fuel stop at Canaveral before reaching Jupiter at little over six days out of Rockland. And it would have been quicker if not for unexpected Gulf Stream opposition and the need to replace a misinstalled alternator belt in Morehead. That&apos;s what leaves me dumbstruck. How can Sabre assemble some 11,000 parts and pieces and yet have so little go wrong even when they&apos;re first put to the test (and when I can rarely arrange a small array of familiar boat systems to all work at the same time)? That&apos;s also why I left CZone out of this entry&apos;s title. While I think that CZone is excellent, I suspect that the realworld results of these systems is as much about the boatbuilder as the gear manufacturer. And I&apos;m pretty sure that there are some other very fine digital switching collaborations out there. Viking, for instance, has a long time relationship with Octoplex, and Viking does not mess around. There are other examples (and many more coming), but I&apos;ve exhausted myself for now. Except for one last thought on the controversial subject of exactly what a Downeast boat is. It is subjective, there is no standard, but I think Sabre is a bit humble to term the 66 a "Downeast-style motor yacht." I overheard some admiring comments from lobstermen as I prowled around the marina -- they don&apos;t mess around either -- and doesn&apos;t FB #1 hold her own even as background to the very squared away Calvin Beal 44Jill Cayden? News+: Victron Venus, CruzPro SOG2, DY WindSense, Vaavud Ultrasonic, & Panbo "News+"